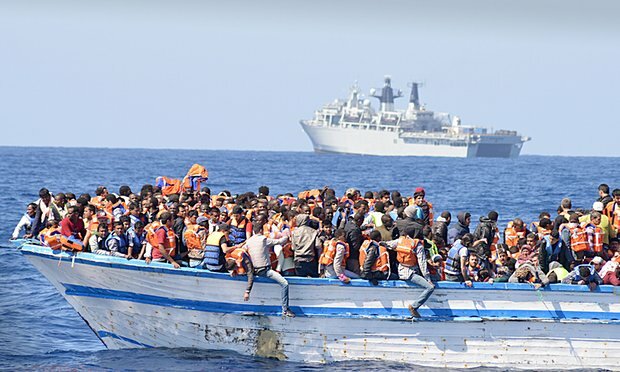 Up to 500 people died as a large boat went under in the Mediterranean Sea close at an unknown location between Libya and Italy, the United Nations High Commission for Refugees (UNHCR) has said. A UN refugee agency team confirmed that there were 41 survivors –37 men, three women and a three-year-old child. They were rescued by a merchant ship and taken to Kalamata in the Peloponnese peninsula of Greece on April 16. The agency said the shipwreck could be one of the worst tragedies involving refugees and migrants in one year. Those rescued include 23 Somalis, 11 Ethiopians, six Egyptians and a Sudanese. UNHCR said the survivors told its staff that “they had been part of a group of between 100 and 200 people who departed last week from a locality near Tobruk in Libya on a 30-metre-long boat”. “After several hours at sea, the smugglers in charge of the boat attempted to transfer the passengers to a larger ship carrying hundreds of people in terribly overcrowded conditions,” UNHCR said in a statement. UNHCR said 179,552 refugees and migrants had reached Europe by sea across the Mediterranean and Aegean, while at least 761 had died or gone missing along the way. The organisation advocated “increased regular pathways for the admission of refugees and asylum-seekers to Europe, including resettlement and humanitarian admission programmes, family reunification, private sponsorship and student and work visas for refugees” to prevent smuggling and dangerous irregular journeys.